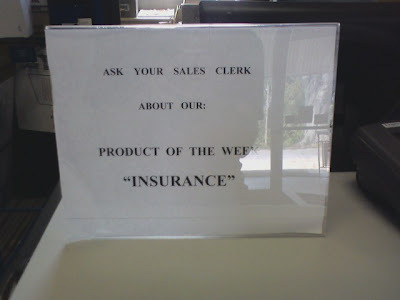 The “Blog” of “Unnecessary” Quotation Marks: "insurance"
Aaron saw this at a post office, but I think it would be funnier if it was in an insurance office. So I guess this is one of those "insurances" that mysteriously becomes worthless when you need it. Or they're a front for a mob operation.